This Stellar knife collection is styled to James Martin's specifications. 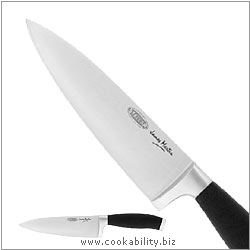 Made from high quality molybdenum stainless steel and taper ground to allow constant successful sharpening. Handles are moulded and ergonomically shaped with a soft touch, anti-slip, finish.